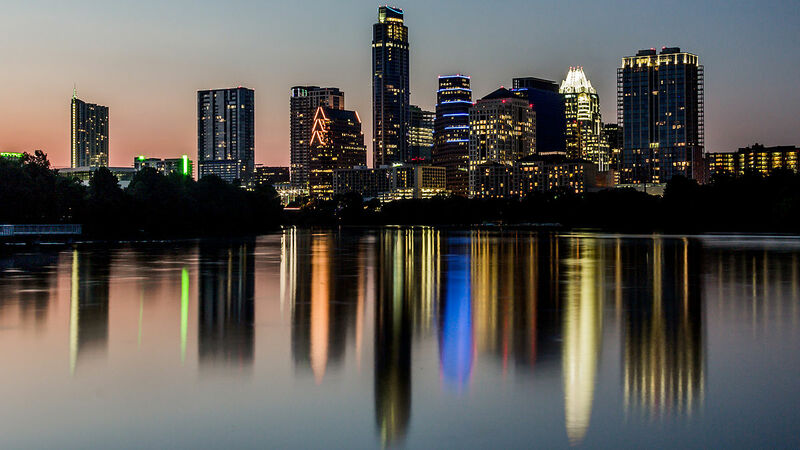 The people of Austin are being deluged with package bombs. Within a few weeks, there have been packages left on doorsteps, connected to tripwires and early this morning exploding in a FedEx facility in Schertz, Texas. So far, two people are dead and four others have been injured. Police have told residents to stay indoors. Obviously, if you don't leave your house, you need to order online. U.S. regulators will often stop mergers and acquisitions because they are bad for the public in some way. Too much market control could inflate prices wildly, etc. When deals are killed it isn't always obvious why. Information recently leaked about a plan for a national 5G network run by the U.S. government and perhaps leased out to carriers. In another article, it was stated that the government has backed away from saying they will run the network. This is not surprising to us. We doubt the government would run the network in any major capacity. Is it Too Late to Get Into the Smart Home Market? Nest is doing a number on HVAC companies the way the iPod and iPhone did to music players and phones. Yet, as we have detailed before, as gorgeous as Nest thermostats can be, they can also be problematic, if your wiring isn't compatible. We detailed recently how we had to run a C-wire to one of our thermostats to prevent it from turning on the air conditioning when heat was needed. We still have another thermostat which probably needs a C-wire as well or some software modifications to prevent the same problems. More to come on the matter next spring. Nest, for its flaws has the first-mover advantage. Network complexity is literally growing exponentially and the ability for organizations to manage the increasing complexity isn’t growing with it. Staff budgets are often shrinking or staying level yet the sprawl of systems; servers, computers, sensors, etc. continues unabated. Without making use of artificial intelligence operations or AIOps it really is impossible to visualize your systems, let alone diagnose them quickly when a problem needs to be rapidly remedied. Name a market worth $18 billion in a few years with a 500% growth rate that almost no one knows about. If you guessed Fog Computing then well, that's because my readers tend to be above-average in their tech knowledge. For those of you who are new, here is a refresher on what the term represents. It is basically the idea of edge-computing as it relates to IoT devices. We estimate LPWAN connectivity could power half of the world’s IoT devices in the next five years. With range of more than ten miles and devices running on a single battery for a decade, we expect sensors and other IoT devices to be widely distributed. In addition, mass-production will reduce prices, meaning even greater distribution in virtually every industry. Certainly, LoRa is a strong contender in the LPWAN space – the ecosystem is growing at a staggering pace. IoT Connectivity Standards? Still a Confusing Mess. 62 million European households will soon have smart gas meters as reported on IoT Evolution with an annual growth rate of 27.8 percent until 2022. We recently reported that the U.S. was behind Europe in LoRa deployments so when we saw this research report, we decided to dig deeper. We wondered, are all of these deployments LoRa-based? Interestingly the answer is a resounding no. European smart gas meters use a variety of communication methods, the report indicates, including fixed RF networks and local interfaces to master electricity meters. There is a race to roll out the largest LoRa network as eventually trillions of devices will need a low-power way to communicate at distance For this reason Actility is powering Comcast’s efforts to deploy LoRa gateways in their set-top boxes. Each will have a range of 500 meters to one kilometer (roughly 0.3 to 0.6 miles). Trials are taking place in Philadelphia, San Francisco and Chicago and 11 more cities are in the works. Perhaps other cable companies will follow suit and they will join their networks together like they do with their CableWiFi WIFI solutions. 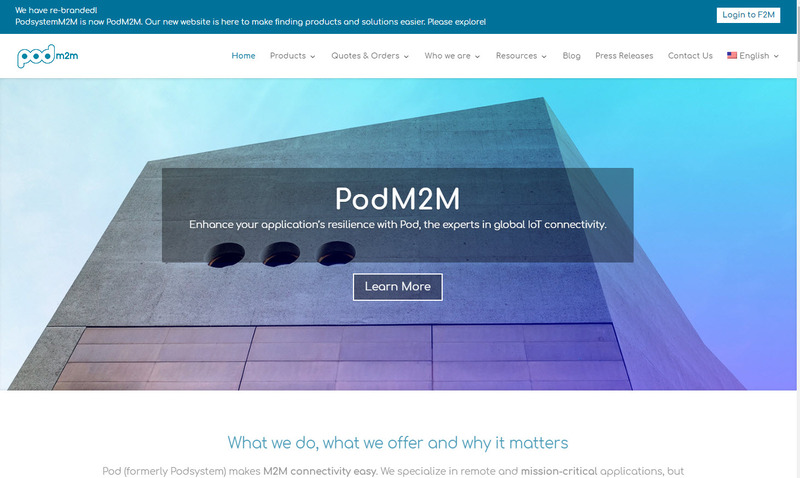 It’s a great time to be an MVNO was the key takeaway from our recent interview with Pod Group USA (Also known as Pod M2M) – the company has been busy building it's partner program and carrier network since we last met them. We had a chance to speak with Sam Colley, Allistair Elliott and Natasha Nader at the company and they told us they now have over 17 hardware manufacturers and major carrier partners as well. T-Mobile, Rogers, Sprint and Ingenu are on and AT&T will be signing soon they said. Their revenue model varies – they can have a lead-share model or it can be commission based or even white label where partners resell the connectivity.